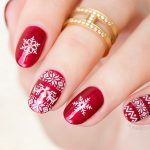 Kick-starting the festive season with this delicate Holiday nail art! As a base for this design I used the beautiful vintage pink Diorific Lively from the new Dior Holiday 2018 collection. To bring out the silver shimmer of the polish I added white holiday themed patterns. This, in fact, was the easiest part of this manicure – thank heaven for the new Christmas stickers! To create the intricate holiday patterns I used white Snowflakes and Christmas Sweater stickers and silver Glitter Stripes stickers and small silver studs to add a touch festive sparkle. 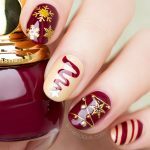 Even though, at the beginning I did not have a clear idea for the design, at the end it all worked out beautifully and I’m very happy with this Holiday nail art! 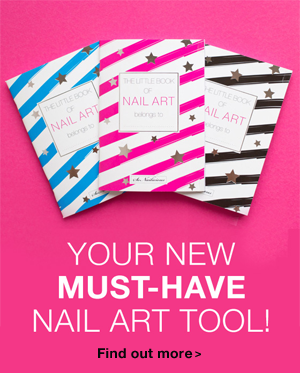 That’s the great benefit of the SoNailicious Stickers – even if you have a creative block, you’d still be able to do an amazing nail design – the sticker patterns will do the job for you! 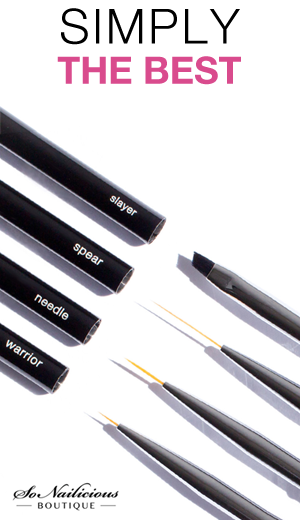 All you need is to select the perfect base for your manicure. And here you have 100% creative freedom! 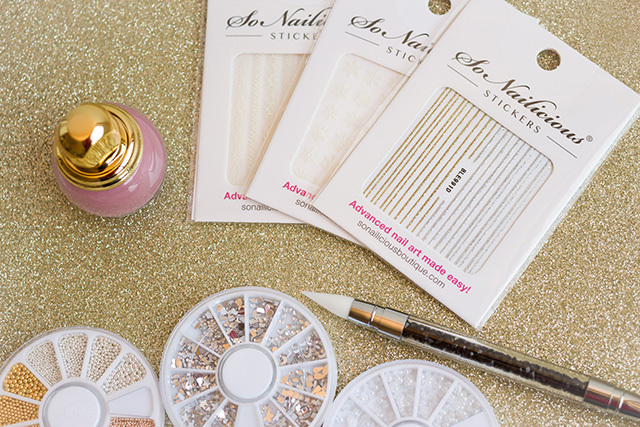 Because all SoNailicious Stickers are opaque enough to use on any colour. Whether you use dark blue, pink or red polish – the intricate white patterns will remain white and gold will remain gold! Have you ever tried to paint white snowflakes over dark polish? Then you know the challenge is real and you will appreciate the supreme opacity of these white Christmas stickers. 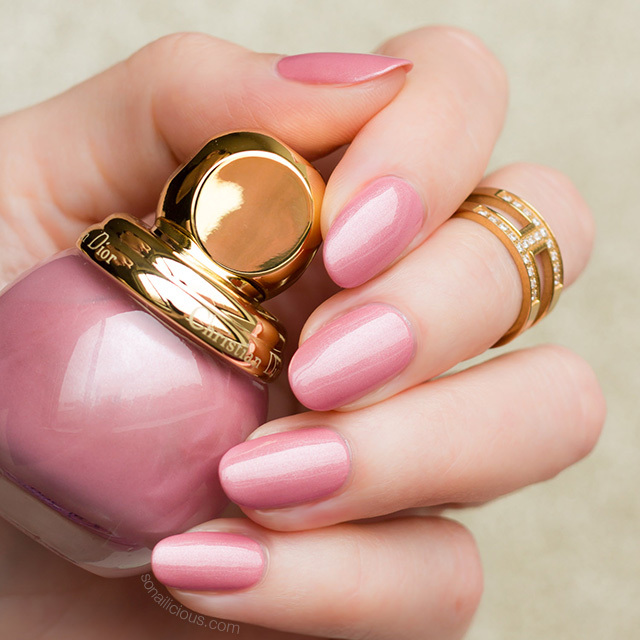 Paint all nails in dusty rose pink. Apply 1 thin coat of a fast drying top coat and wait until it’s dry. Use white Snowflake stickers on pointer finger and little fingers. Apply white Christmas Sweater stickers on middle finger. Add Glitter Stripes stickers between Christmas Sweater patterns on middle finger. Apply 1 coat of matte top coat on all nails and add small round rhinestones, silver studs and pearls on pointer, ring and little finger nails as pictured. So, how do you like this delicate Holiday nail art? 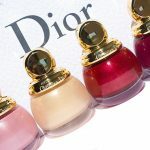 Do you experiment with colours for your holiday manicures or prefer to use the traditional Christmas colour palette?